When Martin Wallace's heart is in it, the result is usually a fascinating game. 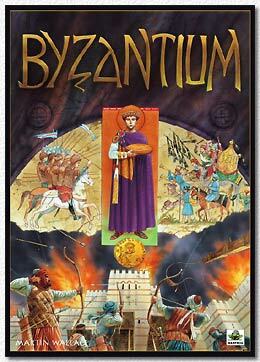 The same here: "Byzantium" is a challenging game that might have some concepts that need getting used to, but all in all this is an interesting wargame effort, in which no player plays a distinct side, everybody has a shot at great conquests all the time and representation of armies on the board in now way reflects the victor. As usual in Wallace games each player has only short action phases in which there are a lot of possibilities, and dice DO play a role, although not in a balance-damaging way (the combat system is elegant and simple). Very recommended and an unusual game in its own right.